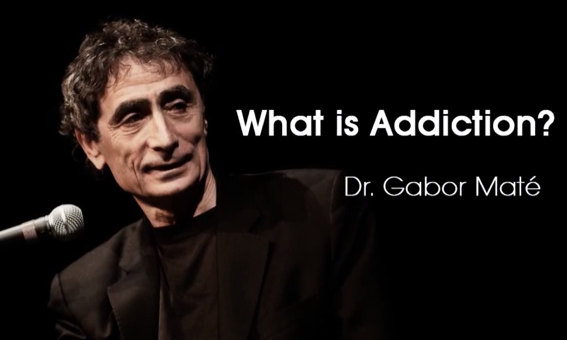 When The Body Says No: Mind/Body Unity and the Stress- Disease Connection, Addictions – Amazing talk by Gabor Maté. I’ve been interested in Gabor Maté’s work for a few years now. First came across him during watching one of The Zeitgeist Movement movies and his points of view resonated with me deeply. Since then I decided to explore his work more and never did regret it. Gabor is is a Hungarian-born, Canadian physician who specializes in the study and treatment of addiction and is also widely recognized for his perspective on Attention Deficit Disorders and his firmly held belief in the connection between mind and body health. He has authored four books exploring topics including attention deficit disorder, stress, developmental psychology and addiction. “Rather than offering quick-fix solutions to these complex issues, Dr. Maté weaves together scientific research, case histories, and his own insights and experience to present a broad perspective that enlightens and empowers people to promote their own healing and that of those around them. For twelve years Dr. Maté worked in Vancouver’s Downtown Eastside with patients challenged by hard-core drug addiction, mental illness and HIV, including at Vancouver’s Supervised Injection Site. With over 20 years of family practice and palliative care experience and extensive knowledge of the latest findings of leading-edge research, Dr. Maté is a sought-after speaker and teacher, regularly addressing health professionals, educators, and lay audiences throughout North America.” Watch some of his talks (starting with the video of the title of this post) to see why that is. “You can’t separate the mind from the body. And we now know scientifically that there’s no basis for those separations. So, it’s not that there’s a nervous system and the immune system, and hormonal apparatus, and cardiovascular system, and the emotional system; It’s all a part of One and the same system. There’s a science called psychoneuroimmunology, that studies the connections and the Unity of the emotional system, immune system, hormone system and nervous system. It turns out they are all connected. Form more inspiring and informational lectures by dr. Maté do some research on youtube and his website full of articles, videos, blog posts etcetera. 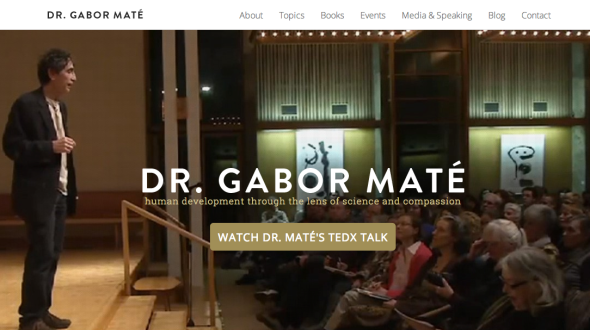 If you feel these are not enough, there are many Gabor’s talks and lectures all over youtube, so feel free to dig deeper into the subjects Mate presents. It’s a great idea to go for his books as well. Green Body Cleanse – famous How to Clean Your Body and Home From Toxic Chemicals and Disease-Causing Agents.